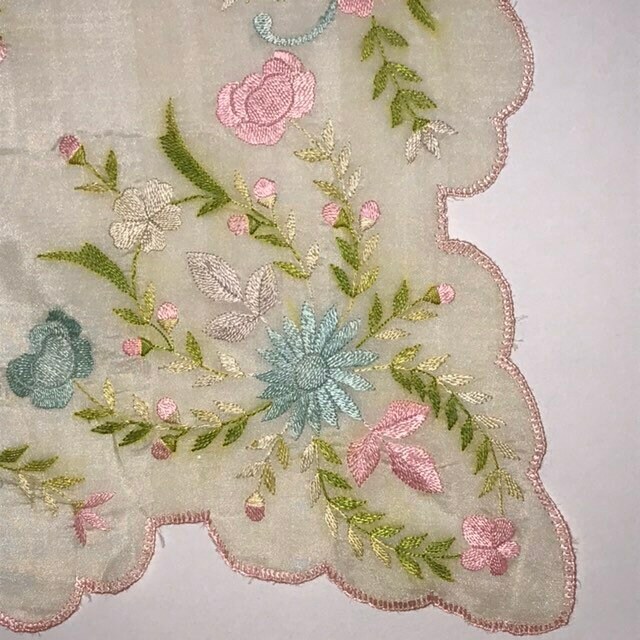 Tuck this sweet floral hankie in your breast pocket and carry a blooming garden with you everywhere you go. 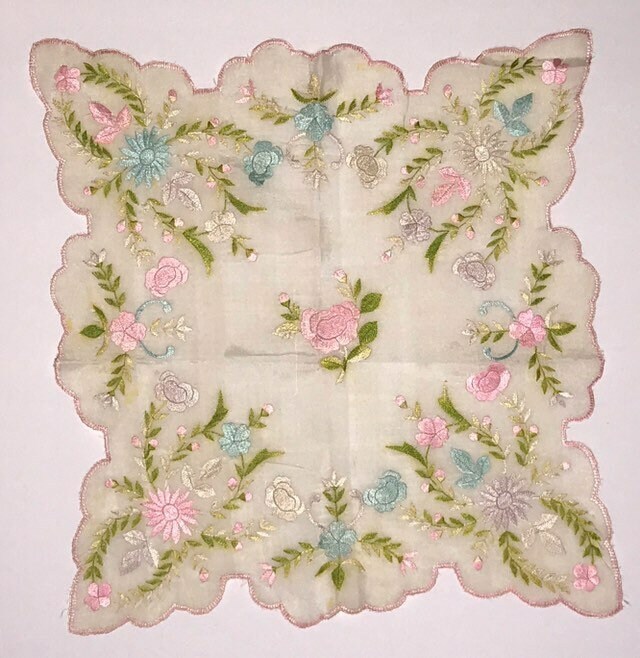 Beautiful silk handkerchief has scalloped edges trimmed in pink silk. 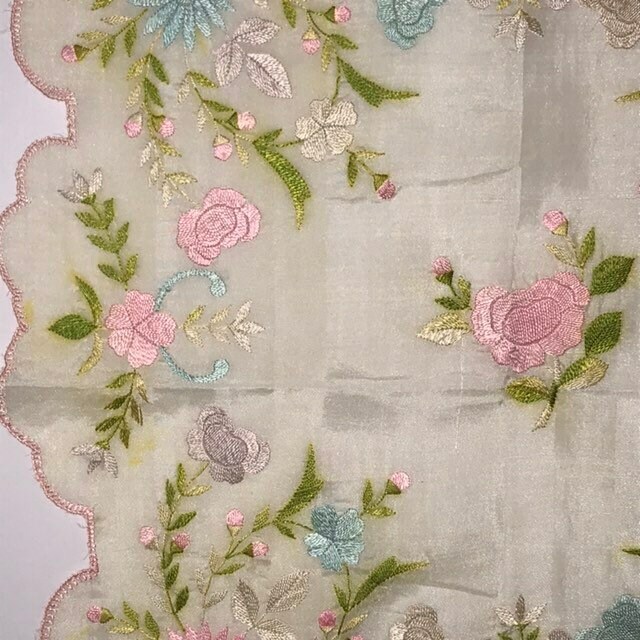 Silk embroidered pink and blue flowers. 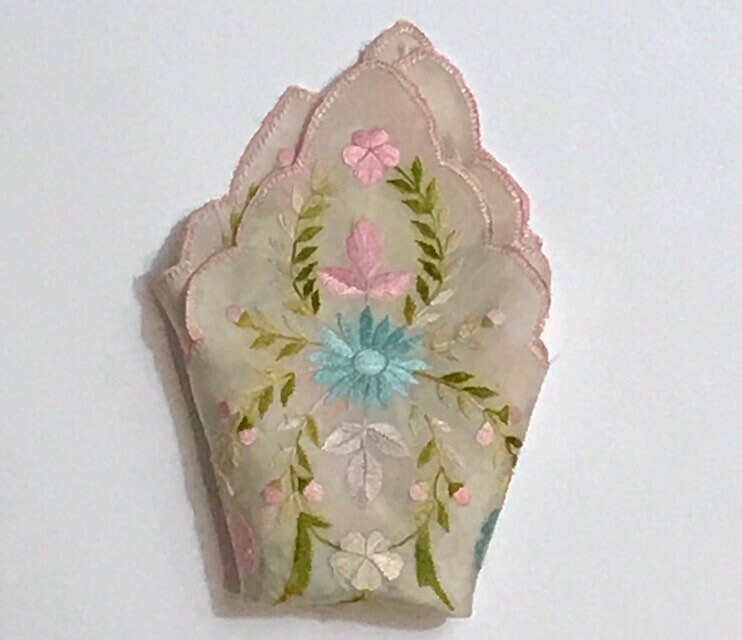 Measures approximately 13" square. Some slight yellow discolorations as shown in pics.